These are the teachers and musicians who were at the 2018 Santosa Yoga Camp. The 2019 schedule will be released soon and this page will be updated then. But many teachers and players come back year after year. Biodynamic Yoga is based on the underlying principles that we have a life force that inhabits our bodies, Prana, a blueprint, a potency through which our minds and bodies are designed to move. We are curious creatures made of many patterns. i call my classes "Biodynamic" to reflect my changing, creative approach to bodywork as a practice of enquiry and enhancement of natural energy. My teaching is informed by my practice as a CranioSacral therapist and also by my longterm interest in Anatomy, feldenkrais, Continuum Movement, Authentic Movement and Bodymind centreing. in class we practice a very wide range of movements utilizing intelligent sequencing and we use different techniques to explore our individual capacity, we seek to expand our awareness and choice to encourage the qualities of sustainable resilience, responsivenes and endurance. I have been practising yoga for over 30 years. Yoga and Buddhist practice have been what I do with my life since my teens. During this time I have been very fortunate to study with many excellent teachers. For more than 20 years I taught within the framework of BKS Iyengar as a qualified teacher. Iyengar yoga is characterised by a rigorous application of technique and clarity within posture and breath work. Meditation in action. I have found that its focus on structure and alignment offers safe practice guidelines for all abilities. Inspiration and challenge for when we are feeling strong and flexible; Support for more vulnerable times. Each system has its strength and weaknesses and I resigned from the Iyengar Teaching association 8 years ago feeling conflict with new insight and the rule against studying anyother form of yoga! Since then I have undertaken many other trainings and see study as a lifetime path. I am a recognised teacher with the BWY and have completed training in yoga for healthy lower backs, sKum Nye Tibetan yoga, Yoga Nidra, Embodied Yoga Principles and Vinyasa yoga, yoga for teens. I'm a qualified embodiment facilitator and have done post grad training in trauma with babies and children. I teach Embodied Anatomy in Falmouth and other UK trainings and offer short level 2 trainings, workshops and retreats. I believe that yoga can bring us to a place of increased self knowledge and awareness and acknowledge that the journey will be different for each individual but the outcome is the same, more choice, more personal leadership and better relationships with self, others and the world. I respect this in my teaching. Nirlipta Tuli is founder and co-partner of Sitaram Partnership and also Yoga Nidra Network. Nirlipta's particular interest lies in the therapeutic applications of yoga nidra, where he focusses on insomnia and sleep related issues, lucid dreaming, dealing with stress, enhancing productivity for individuals and groups, and pain related issues. Much of this has been informed by his own experience, using yoga nidra to manage a life lived with cardiomyopathy, autism and insomnia. 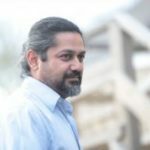 He offers mentoring and pastoral care to other yoga teachers and to students on all Total Yoga Nidra courses and events. Before creating Yoga Nidra Network, Nilripta worked as a registered clinical hypnotherapist. He trained at the London College of Clinical Hypnotherapy and has specialist training in perinatal hypnotherapy. He is a full member of the British Society for Clinical Hypnotherapy and also an associate member of the British Association of Clinical Psychotherapy. 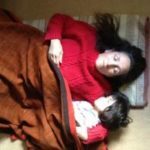 At the heart of his unique hypnotherapy practice was a specialised approach to perinatal hypnotherapy, including work with birth trauma resolution and the release of fears and anxieties around childbirth. Nirlipta has been practicing yoga since 1988 and teaching since 1990. He has yoga teaching diplomas from three different yoga teacher training organisations: Bihar School of Yoga, British Wheel of Yoga and Sivananda Yoga Vedanta Centres. He has also has undertaken further training in pregnancy yoga, yoga therapy and the health and safety aspects of yoga teaching. He has particular expertise in teaching yoga practices for positive mental health, stress relief and relaxation. Nirlipta also holds an MA in Indian Religion and Philosophy from the School of Oriental and African Studies. Felix is an inspirational yoga teacher who draws upon both ancient and modern practices of uniting the body, mind and spirit for health and wellbeing. Following extensive studies with teachers across the globe Felix has designed classes to uplift and inspire students through a dynamic and balanced sequence of exercise and relaxation to develop health, vitality and self-awareness. His unique style of teaching fused with his vibrant personality and depth of knowledge make his classes fresh and inviting. Introduced to yoga as a child, Felix fully established his practice following a sciatic injury and has worked as a certified teacher for 11yrs with a 200hr Yoga Alliance certification with Amrita School of Yoga, a 300hr advanced certification and an Ashtanga Yoga Teacher qualification under David Swenson. He also owes much of his understanding to time spent with his teachers in India and the Amazon. In recent years Felix's path has taken on many new elements. To complement the spiritual arts of Yoga and Shamanism he has enjoyed incorporating weight training, calisthenics, and martial arts to his practice, which through exploration of the body have informed his Yoga practice greatly. 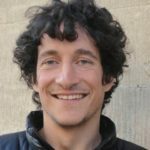 Felix teaches extensively across London, offering classes, workshops and private tuition as well as Massage therapy. He is also a passionate artist, educated at the Slade College, UCL and has previously exhibited at the Royal Academy and the VBH Gallery, Maddison Avenue, New York. Uma Dinsmore-Tuli first met yoga when she was four years old: she fell in love, and has been practicing ever since. Her especial passion is deeply nurturing, revitalising yoga that’s accessible to everyone, particularly Total Yoga Nidra and juicy meditative flows and restorative poses. She’s trained over one thousand specialist teachers and yoga therapists in nourishing yoga, and has written four books on yoga and women’s health, including the massive new women’s yoga bible Yoni Shakti - a woman’s guide to power and freedom through yoga and tantra. Uma teaches all over the world, sharing Total Yoga Nidra and Yoni Shakti practices in trainings and retreats from Moscow to San Francisco and from Rekjavik to Lesvos. In 2005 she co-created Santosa yoga camp with her friend and colleague Amanda Brown. 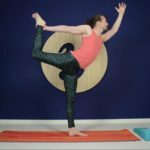 Craig’s joyous and playful character will allow you to deepen your practice by approaching it with humour and open-mindedness. His classes challenge, uplift and heal by enabling you to explore the playing field of your body and mind. Flirting with your limits will allow you to grow in your relationship with yourself. Craig teaches so that people can experience the healing effects of yoga, create change in themselves and live with empowerment and confidence. He has studied numerous styles of meditation, yoga, chanting and other spiritual practices. Trained in various forms of yoga including Ashtanga, Sivananda, Iyengar, Satyananda, and Forrest. He has a great love for the traditional; he continues his study of Sanskrit, as well as, Vedic chanting both in the UK and India. Devamurti’s teachings are directed primarily towards Chit Shakti Vidya. He is a teacher of both meditative self-enquiry rooted in the non-dual Shaivic traditions and embodied, tantric yoga spanning from cleansing kriyas to deep pratyahara techniques. His classes include asana, pranayama, mudra and bandas focussing on sensate somatic insight and inner states of consciousness. Using the technique of yoga nidra he guides guru puja and soul retrieval journeys drawing from the wisdom of the shamanic traditions of both the east and the west. Lorraine has been a dedicated Yogini and lover of Truth for over twenty five years. She offers teacher trainings and retreats around the globe and is dedicated to helping women find freedom through Yoga. In her classes, she is deeply drawn to share her direct experience of the transformation of woman through the unveiling of the Feminine principle and how this manifests through the practice and the movement of daily life. A fully qualified Ashtanga Vinyasa and Tantra Yoga instructor with a multitude of advanced trainings and thousands of teaching hours, she is a great lover of Self Enquiry, Devotional Kirtan and custard. REFLEX YOGA is a new unique style of Yoga specifically designed to target the Body-Brain neurological, physical and emotional connections. It is a powerful art of movement that gets to the root of all pattern making and pattern breaking, with its fusion of calming restoring Hatha/Kashmir Yoga flow and a range of subtly dynamic Neuro-Sensory movements that have been proved to help children and adults with all types of conditions.Some being:- ADHD- OCD- ASD- Stroke recovery- Anxiety - Sleep disorders- Depression- Learning or developmental difficulties- low muscle tone - Motor-coordination difficulties, and the list could go on………………. VERONIKA: A teacher with extensive experience, Veronika frequently encounters people who do not respond in the usual way to asana/breath. Questions answered will be: what is the Primitive Reflex system, why we treat it; how significant our Body-Brain connections are to overall health/well-being; how this can lead to certain types of behaviours/addictions and how powerful this method is breaking physical patterns. - A brief Bio: I began my teaching in Reading Leisure Centre, I then taught in and around Reading for 7 years. I moved to London for a year and learnt Ashtanga Yoga before deciding to quit the city for the quiet life of the Herefordshire countryside where I have been teaching and bringing up my family ever since. I now have 16 years teaching experience and have also retrained in a less well known technique called Hatha Kashmir Yoga. I now also work with Yoga4Autsim and have been developing Reflex Yoga from the work in this field. Introduced to Hatha Yoga in 1973, yoga is a constant in Amanda's busy life. From the culinary world working for the Parker Bowles family to the corporate world of Marketing and Public Relations, Amanda formalised her love of Yoga in a teacher training in 2010 having been practicing "yoga with friends" for over 30 years. 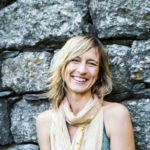 Originally a vinyasa flow teacher, her style is deeply influenced by Tom Myers' work on the interconnective web of fascia as well as the 13 Original Clan Mothers - the Immortal Goddesses of the Lakota Tradition that hold each moon in a specific energy that helps distil and clarify challenges or troubles. Often Amanda will draw the Creature Teachers to support a practice as well as drawing on her trainings in Yin Yoga, Yoga Nidra, Pregnancy and Womb Yoga. She is a qualified Laughter Yoga Teacher with Lotte Mikkelson of United Mind Laughter and Dr Madan Kataria. Amanda has a passion for Kirtan and sings regularly in her home and at workshops / retreats both in the UK and abroad combined with teaching asana, yoga philosophy and nidra. "As we open our Hearts one petal at a time we get a little closer to our own understanding of the Divine." She is an artist, charity fundraiser and full time Mum to the lovely handstanding Zack and is always on the field with a hug, a listening ear and an offer of a helpless belly laugh. Veva’s yoga practice started during her own pregnancy enabling her to have a natural home birth. She is an experienced and energetic yoga teacher and body-therapist who fully believes in the benefits of yoga and therapies to promote health and well being at all levels: physical, mental, energetic and emotional. She is a fully qualified and insured yoga instructor specialized in Ashtanga Vinyasa Yoga. She also teaches, Vinyasa Yoga, pregnancy yoga, Yoga Nidra, Yoga for children; She is a body energy therapist, advanced Thai yoga massage (including Osteopathy techniques applied to thai massage), Deep tissue, Sports Injury massage, Oil Holistic Massage, Massage for pregnancy and infancy, Hot Stone Therapy, and Indian Head Massage. At the present she lives in Spain where she has continued growing as a teacher and therapist. Veva has studied with teachers like Brian Cooper, John Scott, David Swenson, Ana Forrest, Uma Dinsmore Tuli, Jo Manuel, Sergio Martin Pose, Blandine…..At present she is finishing her training in No Risk ABS and Perinee and movement with the school of anatomy of movement with Blandine. Veva has completed a practice course in Mindfulness with one of the most recognised schools in Spain, Nirakara. 12 years of conscious daily personal practice and 9 years teaching in both here in Spain and in England. My longing is to meet and bring what feels real of earth and soul, through body, heart, voice and mind; to embody and express this in sound and movement, in stillness and quiet. Yoga, in its many forms, is one of my allies in living this longing, as well as practices from the Shamanic tradition, and from the world of natural voice work. I am a qualified yoga teacher, voice coach and an apprentice teacher of Movement Medicine. I love to share all that I am nourished and awakened by. My prayer is alive whilst being and walking in nature, so I feel joy to be teaching in the field of Santosa, bare feet on the earth. 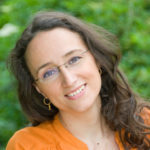 Ariadna is an Ayurvedic medicine practitioner, teacher and writer. For the past eighteen years, Ariadna has dedicated herself exclusively to the study and practice of Ayurveda, with a special interest in women’s healthcare. Ariadna completed her Postgraduate Diploma of Ayurvedic Medicine (PGDAM) in 2003 at the London College of Ayurveda, after serving as an intern at the renowned AVP Hospital of Coimbatore, and at the clinic's of Dr Rao and Dr Kshire in Pune, India. After gaining her first qualification, Ariadna began to work at the Kailash Centre of Oriental Medicine, London. Prior to this, Ariadna worked for the NHS as a health care assistant at Central Middlesex Hospital, London. Eager to deepen her knowledge and skills, Ariadna travelled to India again at the end of 2003, to study with Dr Liladhar Gupta, who accepted her as his student at his clinic for two years. During this time, Ariadna had the privilege to learn from a fourth-generation Ayurvedic doctor and spend time at the family’s project, Dhanwantari Dham Ayurveda Centre. In 2005, Ariadna pursued further academic studies and began her BSc degree in Ayurveda from Manipal University, India. She completed her internship in 2009 at the SDM Ayurveda Hospital, Udupi, where she had the opportunity to study under Dr Mamatha, the leading gynaecologist of the Hospital. On the end, Ariadna completed nine years of Ayurveda studies, which culminated in the opening of her Bath practice, VitalVeda, a project designed to serve as a platform for healing, learning and growing. 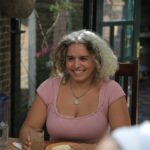 Since 2010 Ariadna has done extensive work as an Ayurvedic practitioner, treating a wide variety of medical conditions as well as teaching the principles of Ayurvedic healthcare at Yoga centres all over the country. Ayurvedic consultations & treatments with Ariadna can help you feel better, and resolve any health problems in a natural effective way by addressing physical, mental and emotional imbalances. Ayurveda brings you to a journey of self-discovery and self healing which Ariadna helps to facilitate. Partner Yoga is a delicious exploration of yoga in pairs: by using each other’s body-weight we deepen effortlessly into the postures. You will be guided to give and receive support symbiotically; and together we will explore ways of communicating to build trust so that you may get what you want/need from this practice. The key is to allow the stretch to happen... It's about letting go of having to 'make things happen' and 'hold things together'. It's also about about being experimental and creative - and having fun! There is something supremely supportive and nourishing about moving - slowly, gently - back-to-back, side-by-side and hand-in-hand with another. People tend to leave feeling relaxed, beautifully stretched and pretty elated. It’s a wonderful way to connect with a friend, a lover (or maybe a complete stranger!) Take this opportunity to connect with another and taste the delights of Partner Yoga! Lara is a massage therapist who, after a long love affair with yoga, now teaches a slow and spacious combination of yin and tantra yoga. 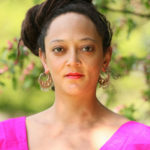 Her passion lies in supporting people to connect to their true selves through various forms of dance and embodied meditation. 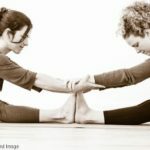 Lara and Lioba have been teaching Partner Yoga together in and around Bristol for 6 years. I discovered yoga after my mum passed away in 2002 and in this discovery began a deep love affair that continues to this day. I love the ever changing and deepening nature of this incredible practice and the way it awakens and allows the life force to find its natural flow. When prana finds its natural flow, it awakens and heals. In this awakening, we come home to our bodies and rest ever more deeply in the Heart. It is such an honour to teach Kundalini Yoga as taught by Yogi Bhajan and Shakti Dance - The Yoga of Dance. 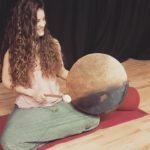 I have also recently started playing the gong and am looking forward to being able to use this beautiful instrument for deep relaxation. My main focus when teaching is allowing people to come into an awareness of the deep silence that is always present within. As we access this silence through yoga and dance we connect with the true nature of our existence. Yoga Artist, musician, activist,mother. Elena Riu completed a Yoga Campus (The Life Centre) Yoga Teacher Training Diploma in 2007. 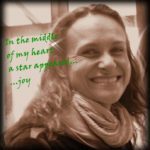 She is also a certified Children and Teens Yoga and Mindfulness teacher and was recently fortunate to received Tich Nath Hahn’s Five Mindfulness Trainings at his retreat in France where she also led Children Yoga workshops. Elena has taught kids classes at The Special Yoga Centre and at Yoga Home. Last summer Elena co-directed the Yoga for Kids and Families activities at Santosa Yoga Camp. In June Elena delivered a session on how to incorporate Tich Nath Hanhn's Pebble Meditation into a Yoga Class for the TeenYogaUK Teacher Training. Her classes use inspiring yoga stories and myths to instill reverence and compassion while weaving fun imaginative movement with mindfulness and relaxation. Elena has been practicing yoga since she was 11 and after arriving in London where she was introduced to Shadow Yoga by John Evans. She has continued to study with Zhander Remete and Emma Balnaves as well as Paulene Morphet. In the past few years Elena has been fortunate to receive mentoring from Uma Dinsmore-Tuli which has grown her deep interest in Yoga for female health and menstruality. Elena also teaches yoga and Mindfulness’ Circles for females of all ages. Currently Elena is completing a Red School Menstruality apprenticeship with Alexandra Pope and Sjanie Hugo Wurlitzer as well as further training in Mentoring Circles for girls. She is the founder of Hackney’s Women Yoga and Mindfulness Circle and Yoga Seedlings, Buds, Blossoms and Flowers. Elena has been a concert pianist for many years and is a Professor of piano at Trinity Laban Conservatoire of Music and Dance where she has recently led a Pilot Study about the benefits of yoga for musicians suffering from PRA and MSDs. The pilot study was jointly funded by Better Practice: Musical Impacts, Teaching and Learning and the Keyboard Faculty. 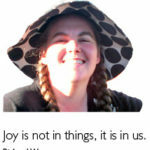 She has been integrating Yoga and Mindfulness in all her teaching. Recently, Elena delivered Yoga and Mindfulness sessions for young musicians at the North London Conservatoire. Elena also has a dance background. Elena has an 9 year old daughter who loves discovering the world through yoga. She has full DBS and is insured by the Yoga Alliance. Arianna took up Yoga in 2004 to help cope with the stress of training as a Classical Pianist. But it soon took over - she caught the Ashtanga bug and trained to teach alignment-based Hatha Yoga in London. 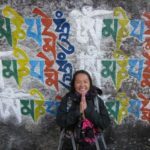 She set off for Asia and spent some years as a travelling yogini, immersing herself in the Indian traditions, completing further trainings, studying Buddhism and doing extensive silent retreat. Eventually she found her home in Thiruvannamalai, and her teacher in Ramana Maharshi. Something brought her back to the UK, where she is now settled and teaching locally in Glastonbury and Wells. She offers Hatha Yoga classes in different styles, drawing on the different traditions she has trained and studied in, primarily Anusara Yoga and Ashtanga Vinyasa Yoga. Over the years she says she has been blessed to have studied with many other glorious teachers, including Leela Miller, Donna Farhi, Max Strom, David Swenson and Bridget Woods-Kramer, and more recently has completed Pre and Post Natal training with Katy Appleton, who nurtured her through her own pregnancy and beyond. "Hatha Yoga remains central to my life and everything I do, but because my years on the road and life's journey have brought me to some other expressions, it feels like a complete circle to embrace them. I've studied Indian Classical Music and singing as well as writing my own songs on the road, and been leading Kirtan since 2009. I now offer non-judgemental sacred sound work in the form of a Community Kirtan group and Sound Healing with Tibetan Bowls in the local Glastonbury community." Once suited and booted in the corporate world, Ling previously spent eleven years advancing a career in a large multi-national company. Ling took up yoga to combat the unhealthy sedentary lifestyle of her desk job that involved quite a bit of European travel. She has been practising yoga since 2001, and teaching since 2007. 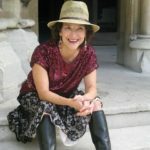 Having swapped the suits and boots for lycra and bare-feet - Ling believes in making yoga accessible for everyone and is therefore trained in Hatha yoga, therapeutic applications of yoga, yoga for children and pregnancy, advanced Yin and is also a teacher trainer in therapeutic applications of restorative yoga. Ling has been busying herself the last seven years furthering her studies and passion in Eastern Holistic therapies and will be offering: Thai Yoga Massage, Thai Oil, Chi Nei Tsang (Abdominal Chi), and Vibrational Therapy with Tok Sen (resonance healing with wooden tools) and therapeutic sound healing massages and Sound Baths with hand-crafted Himalayan Singing Bowls at Santosa this year. Hola! my name in Maeioum, from Mexico. I look forward to share with brothers and sisters the Sacred Space of The Heart, all around the world. One of my strongest Life motors is the realization of our True Nature, for all sentient beings, that’s why it was a blessing to become a Hridaya Yoga instructor, based on the teachings of Sri Ramana Maharshi: Self Enquire, and then to surrender to Sri Mooji´s direct path for Freedom. In this I found a powerful set of techniques to step into The Heart, this path has changed me deeply as I learned to live with an Open Heart, expand to my actual Spaciousness and light up my Consciousness in order to reveal my True Nature. That’s why I feel the calling to share these teachings with you all. In my vision the only possible way of living this life is in harmony within ourselves, with Mother Nature and with each other, in mutual Respect and Love, and I see the way to achieve by humbly fulfilling our purpose and allowing and helping others in doing so, realizing the Union with the One Source, guided by the Grace of God. I consider myself an Adi-Shakti Mother devotee and have received instruction from a high mountain Brazilian Woman Priestess, a Buddhist Roshi in Japan, a Mother-touched Saint in India, our native Mexican Shamanic healers and “the ancient unity-celebrating rituals”, that had seen me dance to the moon with our wise Grandmothers. I’ve been following meditative and healing practices, which are part of my way-of-sharing with the world. I’m a therapist in water and Holistic Massage, and promote woman wisdom in lunar circles and circular dances, and had keep learning ways of support our elders, our pregnant mothers and our children. I was blessed to have parents that were into metaphysics so the spiritual dimension of life was part of my vision since I was a child, and it became apparent for me that Nature has many clues on how to connect with ourselves, in a way that powerful feelings arise within, stirring up a longing for Oneness and an understanding of life. 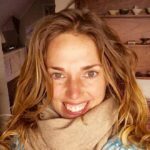 Sam Ahern has been practising yoga for over 15 years and after teaching in New Zealand and South East Asia, she returned to the UK in 2013 and qualified with the Devon School of Yoga. 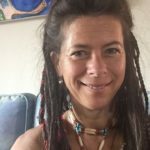 She is a Reiki and Shamanic Healer and has been drawn to combine her work, developing Shamanic Yoga workshops and courses. She also loves Bhakti Yoga and believes nothing opens your heart space better than a good Kirtan! 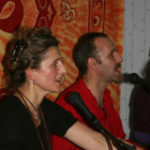 Barry Kristadas Elms is a yoga teacher, chi kung instructor and kirtan wallah. He loves to share the practices of ‘Holistic Chi-Yoga’ and Bhakti Yoga Kirtan (chanting), and has a passion for Indian Philosophy. In addition to his own classes, workshops and retreats, Barry is a tutor on the Devon School of Yoga’s teacher training courses, specialising in yoga philosophy, chi kung and yoga therapy. I have been exploring, practicing and teaching many approaches to conscious evolution for over 20 years now and along the way I have become a multi-certified Yoga/Movement Teacher and Body Worker. I am the founder of Prana Motion and a certified teacher of Movement Medicine. Essentially it is my innate passion for life, love and laughter; community, connection and creativity; words, humour and music; yoga, massage and dance that revitalizes my life every day and enlivens the work that I am called to share. I have been incredibly blessed on my journey to have been supported and guided my many wonderful teachers, friends and family and it is a profound, yet simple, honour to share with you as we explore together this curious dance we call being human. We are human beings, human becomings, human dancings. For many years I have been travelling the world, immersed in different cultures, studying and practicing many ancient and contemporary healing arts and philosophies. These practices include Tantra, Shamanism, Dance, Meditation and healing massage techniques. Having been blessed to learn from many great teachers and healers from Poland to The Amazon, I feel honoured to be able to share my gifts with you in holding space for transformation and growth. Guided by my deep love of mother earth nature and the dance of being human I offer my self in service with love, respect and gratitude for my life and all of life. I am qualified Lomi Lomi therapist and the founder of Earth Medicine. With my background in interior design and engineering I am happy to help you create the life you long for and help you redesign both your inner energetic and outer physical worlds. As a young mother, I am well equipped to support you on your journey with care, presence and refined sensitivity. I first trained to teach strong, alignment based yoga, but followed my heart into the arts of shakti-honouring with teachers of Dru, Bihar and Womb yoga to become a yogic nomad. 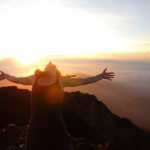 I specialise in yoga that celebrates diversity, deep relaxation and connections to the natural world within and without. At Santosa this year I'll be part of Team 'Nidra. I'll also be sharing a little Wild Yoga - yoga, groupwork and bodywork techniques informed by my own spiritual practices, including druidry, dance, ritual and spirit journeying; and also sharing my ongoing PhD research into alternative and radical yoga. Join me on the wild side. Angela Brew with Enactive Drawing. Slow down and experience the hidden lives of things. Draw with nature, fine-tuning the orchestration of eye and hand, and the stillness, focus and engagement of the body. Susie was born in New Zealand, and grew up in the beautiful nature of the Coromandel Peninsula and later in West Auckland. ​At the age of 9, her family (parents and older brother and sister) moved to England where she continued her inspiring and creative Steiner Education, first in Wales, then Ringwood in Dorset and finally Forest Row in East Sussex. Throughout those years and up to the present day, the Unicorn Natural Voice Camp has played a huge part in her life, first being there as a child, absorbing sound and playing freely in a community environment, then as a tweenie and then a naughty teenager! She was 18 when she became a voice teacher at the camp, leading 60 or more teenagers they became renowned for their energetic, tight and complex performances. This is the last performance she did with the Teens in 2010. ​​​It’s based on 'This is My Prayer for Peace, a song by Nick Prater but as you can hear, it was taken in wild and wonderful directions. All of what you hear (apart from the original arrangement beginning and ending) was created as a collaboration during the week of the Camp and it received one of the longest standing ovations the camp has seen. ​Along with leading groups in harmony Susie also followed her passion for singing and songwriting. As well as her solo work, Susie Ro & Ayla started singing together as a soulful folk duo in 2008 (when they were both 21) and their debut album 'She and I' and countless tours blossomed out of a very close friendship. Although the duo is no longer active, they are still the closest of friends and have recently been recording harmonies on each others debut solo albums. Susie also spent time singing with Avalon Roots, a soulful reggae band made up of a wonderful group of friends singing together to celebrate the common human unity on this earth. She performed on their debut album 'Creation'. Between 2012 and 2016 Susie had the pleasure of being Music Director of the 100 strong Shakti Sing Choir, who sing to honour the earth. Along with monthly rehearsals they performed annually at Glastonbury Festival, Stonehenge's Solstice celebrations, anti fracking demonstrations and various performances and concerts in London. Antarma's music spreads joy and uplifting energy. Heart opening songs on guitar, Ecstatic Afro Brazilian Djembe Rhythms, Soul, Reggae and Hiphop. With the blessing of his Guru In South India, he shares Mantra and Meditation. 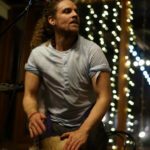 He has been on the path of Meditation for 17 years and has over 10 years experience teaching Djembe Drumming, Kids Yoga Meditation and Guitar. Antarma shares at events, retreats and festivals across the UK. He is regularly invited to hold workshops and concerts Internationally in Switzerland, Italy and Malaysia. He has completed recording his eargerly awaited Debut Official EP due out very soon! Buddhenath and Habiba have been leading bhajans together for over ten years, accompanied with their own guitar and harmonium "We delight in offering sessions which are inclusive, heartfelt and welcoming. We sit in an open circle, we use no amplification and everyone is very much invited to sing. Word sheets are provided. You can join and leave the session at any time (but come at the beginning if you can!)" For all ages, children welcome. Siri Sadhana Kaur performed internationally developing in voice, theatre and movement, studying in Paris with the innovative movement master Jacques Lecoq. Siri lives in London and has recorded 6 music and mantra CDs, tours giving concerts and trainings in mantra dance, acapella singing and yoga . As an approved KRI Professional Kundalini yoga teacher trainer and student of Shiv Charan Singh she delivers the level 1 Aquarian teacher training, organises level 2 trainings, and is participating in the Level 3 training programme. 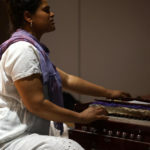 Sivani Mata is a student of Bhakti Yoga (the yoga of love and devotion) and began her journey with this practice through attending various Kirtan (chanting) evenings in London and on her travels. Particularly with family band GOMA, who inspired her to live in trust and bhakti spirit in all aspects of life. 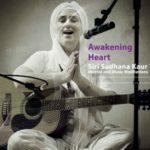 She began to lead Kirtan after spending New Year 2009 with Jai Uttal on his Kirtan camp, followed by a Yoga Teacher Training in Mexico at the Yandara Yoga Institute, where an incredible resident kirtan band, Jaya made chanting a key element. Since then Sivani has been running chanting circles and gatherings in the UK, and has released three kirtan albums produced by bhakti musical magician Tabla Tom: I AM (2012), Shakti Live (2015) and Surrender (2016). 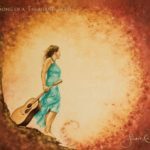 As well as her most recent release Jasmine Garden (2017) which blends Kirtan with mystic poetry. Having fallen in love with the path of Bhakti Yoga, Sivani organised the UK’s first ever Bhakti Music Festival (in August 2011), which brought devotional musical practices from various traditions together as one, in the spirit of universal love and devotion. Following on from this she now organises BE LOVE ~ 11hour Bhakti Immersions in London. Inspired by her Bhakti Practice, Sivani also shares Yoga Nidra, Women's Yoga, Restorative Yoga and Shakti Dance with bhakti spirit, centring these practices in the heart to unveil ones true nature. Tim has been playing music for over 25 years but it wasn’t until his late twenties that he realised it was singing that gave him the greatest joy. After a spiritual awakening and some years experimenting with different kinds of voice and sound healing he did his first workshop with Chloe Goodchild and The Naked Voice in 2005. This transformative experience crystallised in 2006 with the release of his first CD Planting Peace, running regular chanting groups and a life-changing trip to India. Since then Tim has worked extensively with Chloe, becoming a Naked Voice Facilitator and been witness to the incredible power of the voice and chanting in particular. 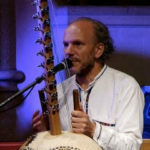 Tim is a regular at UK Bhakti Festivals and yoga gatherings and in 2012 released a kirtan CD, Devotional Heart, produced by Tabla Tom. The follow-up 'Give It All Away For Love' was released in 2016. 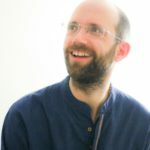 Tim is also a father of two children and runs a very popular ‘Bhajan Babies’ class in Bristol introducing the calming, joyful practice of chanting to new parents and their children. Harisudha and Durga Das have been devotees of Sri Haidakhand Baba for over 30 years. They have three children, and have raised their family on the teachings of Sri Babaji, in truth, simplicity and love. They have inspired many people on their spiritual path through taking a mobile ‘temple tent’ around festivals across the U.K. and holding pujas and chanting sessions regularly, and through the example of their daily lives. They are also long time friends of the Goma family and have joined them in tours and concerts over the years. They also hold some Babaji events at their home in Somerset. Sam is a founding director of Natural Genius Ltd. He is a dance movement psychotherapist (MA ADMP) with over 25 years experience at facilitating workshops. Since 2002 has trained adults at festivals, colleges and teaching staff in special needs schools. His regular work is as a psychotherapist in Bristol schools (mainstream and SEN) and adult care provisions. He is also a full member of the College of Healing and body-work teacher with 27 years experience in transformational bodywork. Sam is the author of a book on poetry “Human Ocean” (2nd edition), and an exhibiting artist (2015) and regular performer in poetry, dance, sound and digital media. 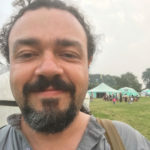 In addition to his distinction in a three year creative arts psychotherapy MA (2017), he has trained extensively in personal development; : Specialist Mentoring (2016): Advanced Thai Massage (2016) Transformational management/leadership (2012) Non-Violent Communication (2010): De-escalation skills training (2010): Metamorphic Technique (2005): Healing (2004/2014): Improvised theatre and Commedia Del Arte (2003): Psychodrama (2002): Reflexology (2000). He was awarded a First Class Degree in (1999). 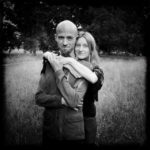 He is the secretary of Contact Improvisation Bristol and currently teaching Contact Improvisation, Whole Heart, Whole Body; Mens: The Lion and Dove workshops; Body Poetry words and movement; and Igniting Creativity workshops. He is fully CRB checked.